New Brunswick says it should receive a minimum of 400 kilograms (880 pounds) of product per week to fully stock store shelves and keep up with customer demand. Canopy Growth of Smiths Falls, Ontario. Nuuvera, now a subsidiary of Aphria, of Brampton, Ontario. Zenabis of Surrey, British Columbia. 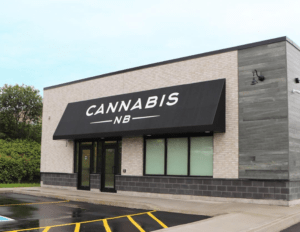 Organigram said in a statement it is working with partners across the country, including Cannabis NB, to ensure that annual supply obligations are met.